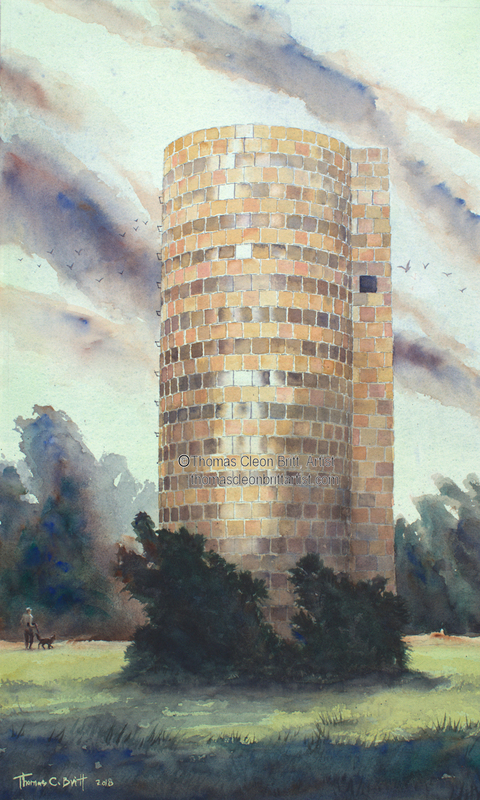 The silo is made of terra-cotta, and its dark courses are glazed smooth, so it shimmers when you move past it. It is a real silo, located in Goldsboro, NC. The landscape is a fantasy.